See subject and background live – No post production, this is not green screen! Imagine the possibilities of unlimited backgrounds! 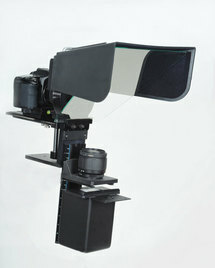 The VB Express is the perfect basic background system for both studio and location photography. 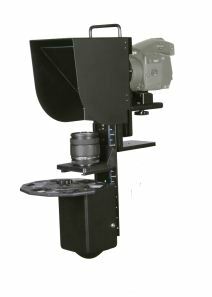 Occasionally we have available a factory refurbished projector. Each refurbished unit is completely reconditioned at the factory and brought to match or exceed original specifications and comes with a warranty, training, and technical support. Refurbished units can also be traded for a new unit within 6 months of purchase with the full value of the purchase price applied to a new unit. Note: Refurbished projectors are not always available. Some refurbished systems are compatible with the digital upgrade. The background screen is composed of billions of perfectly round glass beads that are more than 1,500 as reflective as white background paper. It is retroreflective. The screen can be wall mounted or available in a portable version which can be set up in minutes. One single background screen replaces all your canvas muslins and paper backgrounds and brings you an infinite variety of possibilities for new backgrounds. Amazingly, if a person tries to photograph the subject with their own camera, shooting over the photographer’s shoulder, they get no background and the subject will be nearly washed out!